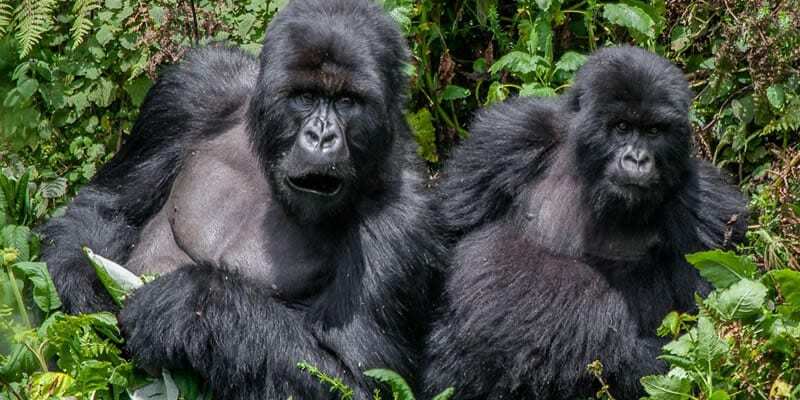 Enjoy this 16 days gorilla tracking safari Uganda Rwanda will take you to go gorilla trekking, track chimpanzees, visit golden monkeys, and seeing wildlife. 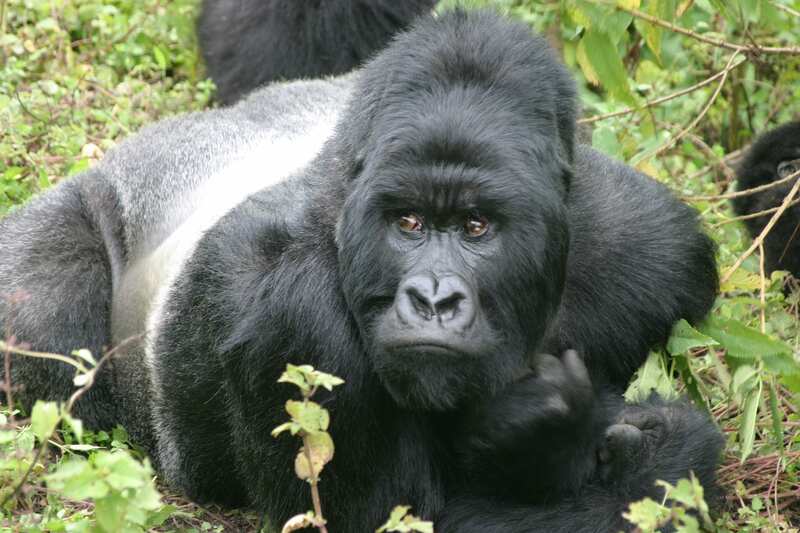 Visit the highlights and also the best safari sites and places in Uganda and Rwanda. Day 1: Drive to Transfer to Volcanoes national park. Luxury: Volcanoes Virunga Lodge/ sabinyo silver back lodge. Day 2: Gorilla Tracking Rwanda. Day 3: Golden monkey trekking. Wake up early in the morning for your breakfast and get ready to go and trek the golden monkey. The Golden monkey scientifically known as Cercopithecus mitis kandti is a subspecies of blue monkey found only in the bamboo forests of the volcanic mountain chain which makes a part of the boundary between Rwanda, Uganda, and the Democratic Republic of Congo. Golden monkey trek is an experience that one compares to gorilla trekking in Rwanda, Uganda or Congo . Small but great-the golden monkey weighs about 10-25 pounds and has a golden body, cheeks and tail and has complementary black limbs, crown and tail-end. Miniature is presently known about the environmental requirements of the golden monkey, and the subspecies populaces have never been determined. Living in the supercilious montane Virungas forests with its great ape relatives, this primate faces some of the same threats as gorillas, including snares set for small antelopes, human encroachment and people entering their habitat to collect wood. Day 4; Drive to transfer to Uganda’s Bwindi National park. Day 5; Gorilla trekking in Bwindi Uganda. Wake up early in the morning for a hearty breakfast, pack your tracking gears and head to the ranger station for briefing. Do not forget to carry parked lunch because you do not know the time you may take to meet the adventurous apes. After briefing, you will go into the lush dump ever green forest for the jungle search. During your expedition, you will get to see other primates like monkeys, birds a seen or heard whistling from the tree branches and the surrounding vegetation is awesome. You are advised to put on jungle boots because the terrain is quite slippery and there may be some insects on the way. When you encounter the gentle eyed gorilla, you will forget the time you spent searching for them. Spend an hour with them, taking photo graphs and watching there moves. In case you are not so tied you will take a visit to Batwa Cultural Village, get entertained by them. Return to your lodge for dinner and overnight. Day 6: Transfer to Lake Bunyonyi. Day 7: Transfer to Queen Elizabeth Park. Wake up early and head for a game drive. You will be able to see variety of animals like hartebeest, Uganda Kob, lions, waterbuck, buffalos, oribi, baboons the list is endless. Enjoy the varying vegetation that is within the park. Visit the dry salt lake in the park; you will also notice a putrid smell from Lake Nyamunuka which is the animals’ hospital. Listen to the history behind its smell. Return to the lodge for late day breakfast and later lunch. Get down to the river for an eye captivating launch cruise. 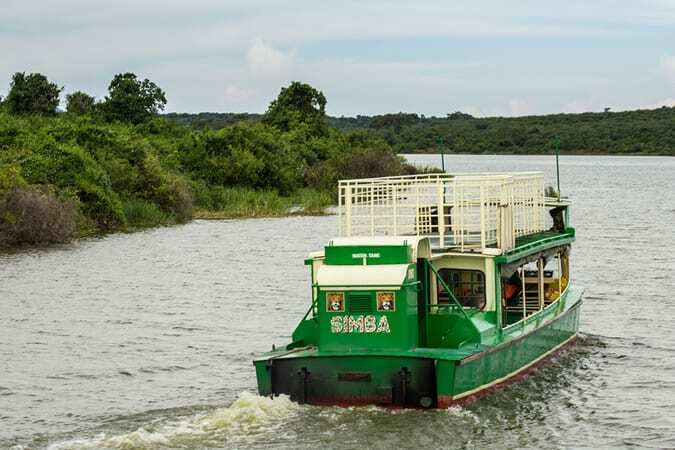 You may have the chance of spotting some beautiful birds as they flap there wings, thirsty animals like herds of elephants, buffalos, antelopes, a school of hippos, crocodiles and several other interesting animals. Return to the lodge for dinner and overnight. Day 9: Game drives / Visit the Crater lake and salt Mines. Early in the morning, drive to the Kobs mating ground. You may have the opportunity of seeing the King of the Jungel camouflaged in the bushes waiting to catch a prey. Pass the abandoned villages of encroachers to this park and proceed to Lake Katwe a salty lake that has existed since the ancient days. Watch the rudimentary salty mining activity. Take photographs too. Return to your lodge to relax and wait for dinner plus overnight. Day 10: Transfer to Kibale National park/ Chimpanzee Tracking. Day 11: Drive to Semliki National park /Visit Sempaya hot springs. Following a delicious morning breakfast, engage in a walk in the dense forests which has exotic primates, Semliki hotsprings, bird species as well as mammals. It even has various species of trees like; Isolama congolana, Nesogordonia Kabingaensis and Ejacis guineesis and the endangered species are Cordia milleni, and lovoa. When you are on the forest walk, you may get the chance of spotting about 374 species of butterflies which are a good recipe for butterfly fanatics to experiment on the area of butterflies. Enjoy your Lunch then head to fort portal. 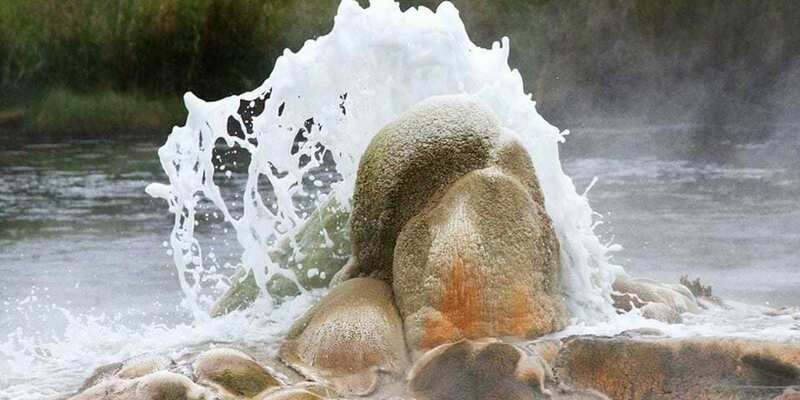 Visit the Mabere ga Nyinamwiru falls which are the stalactites and stalagmites that look like breasts. Listen to the interesting history behind these lovely falls. In case there is still enough time, visit the Toro palace. Return to the lodge for dinner and overnight. Wake up early in the morning and get ready for a You will have a city tour where you will visit the Nagalabi coronation site, the Mengo Buganda palace, visit some religious places like Rubaga cathedral fro Catholics, Kibuli Mosque for the Muslims, Namirembe cathedral for the protestants and the Bahai temple for the Bahai worshipers. This is the only temple of its king in the entire Africa. You may visit other places like kabaka’s man made lake in Ndeeba, Sanyu babies home, Nsambya babies home and so many other interesting places. Return to your lodge for dinner and overnight. Day 15: Jinja City Tour. Day 16: Transfer to Entebbe airport. After the long Trans border tour. Take on your flight back home. You will be driven to Entebbe Airport for your home bound flight.